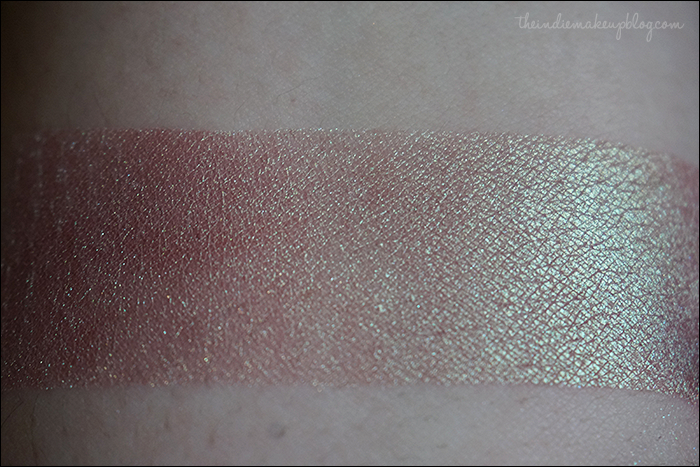 Today I have the second installment of my Femme Fatale swatches. This set is from a more recent order and I have another one on the way from their April 1 releases, including the infamous Wayward Prince and Straw to Gold from the Hello Waffle Cosmetics March Visage box. Everytime I think I'm done buying everything I want from FF, they come out with a new collection or eyeshadow and my careful purchase planning goes straight out the window! Such is the life of an obsessed indie blogger haha. I've created a Facebook page for the site for those of you who tend to follow blogs and shops on there and I would love if you could follow it! Click here to be taken to it. I'll be posting sneak peeks of looks and reviews on there and hopefully it'll make it a bit easier to chat. I'd like to say thank you to everyone for your constant support. 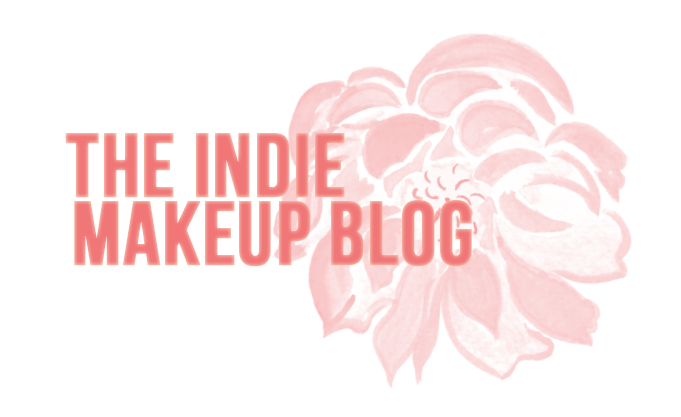 This blog is my baby and it's a complete labor of love for me. Your sweet comments make my day. If you have any suggestions on how I can improve my reviews, swatches, or the site in general, I'm happy to hear them! 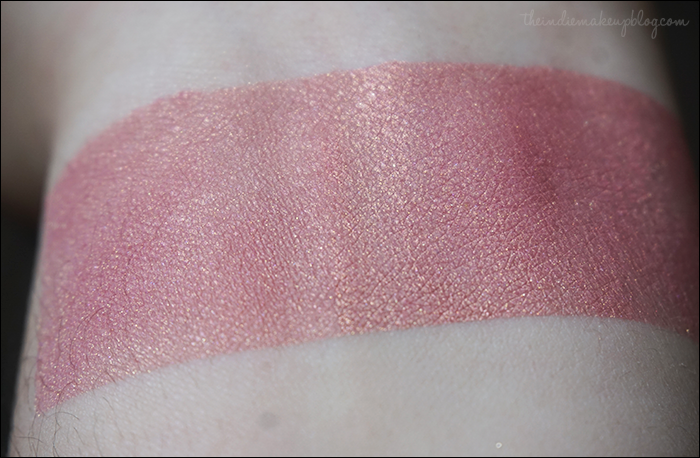 Would it be helpful to list any possible dupes of shades or link back to other shadows I've swatched that are similar? I'm also thinking of creating tutorials if there's interest. Let me know in the comments! Products were purchased at regular cost. All thoughts and opinions are my own. Please view my disclosure policy for more information. Swatches are done half on Urban Decay Primer Potion, half over Darling Girl Cosmetics Glitter Glue. 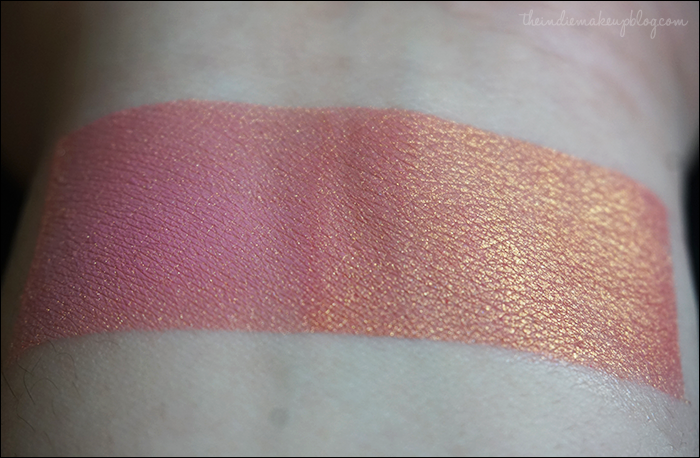 Sunfire is a rosy pink with a gold duochrome. The base color and concept of this one is similar to Corvus' The Thirteenth Gift but has a true duochromatic finish. Over a sticky base, this one absolutely glows. Cystalline Scale is a soft iridescent violet. It's a bit sheer over primer alone but over a sticky base the violet hue is stunning. This one will be more of a lid shade for the majority of lighter skin tones while it'll work great as a inner corner highlight shade for darker complected gals. Beware The Snowman is a silvery white with blue sparkles. 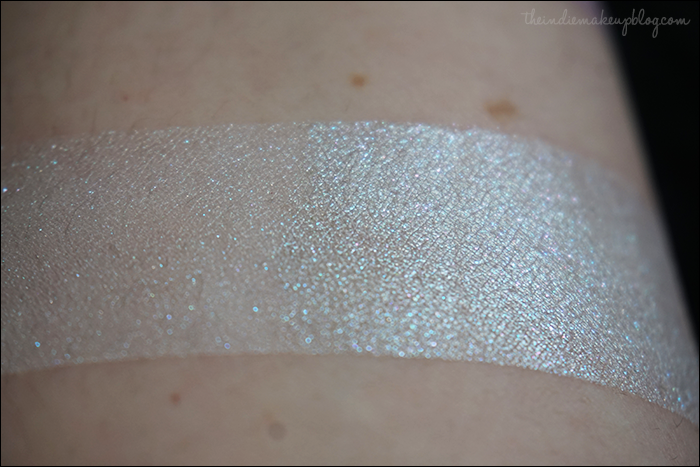 I'd use this one for my inner corner highlight as it's a bit too frosty to use as a lid shade for my preference. Bat Wing Hall is a mauve with a copper sheen. This is like the grown up, deeper version of Sunfire and I'm sure they'd pair together beautifully. Good pigmentation over regular primer but if you want the copper reflect to really stand out, you'll need a sticky base. Faerie Fire is a soft pinky lavender with a green duochrome. I wore this yesterday on my lids over a sticky base and good lord was it gorgeous. Depending on the way I turned my head, you would either see a purple, pink, or green duochrome. I didn't get a chance to photograph it but if you'd like to see me recreate it, let me know and I'd be happy to do that. Candied Apple is a mauve with green duochrome. This is probably the most popular shade from Femme Fatale. The reddish base/green shift is quite striking. Lots of people actually prefer this one without a sticky base for a subtle duochromatic wash of color over the lid. 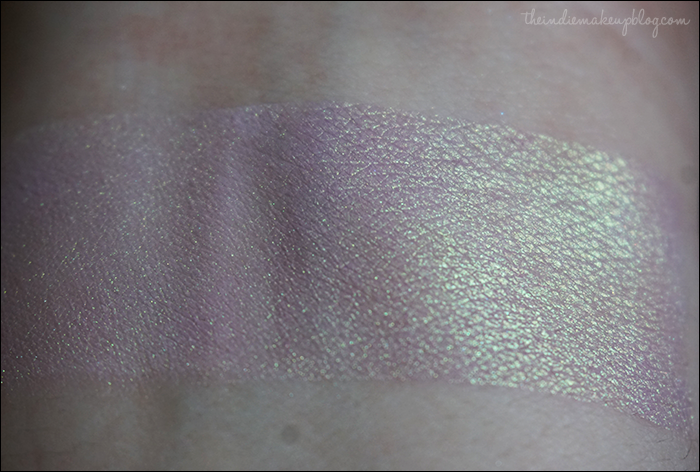 Secret Shiny is a lavender with a gold duochrome. Very pretty color, and probably one of the most unique shades in my collection. 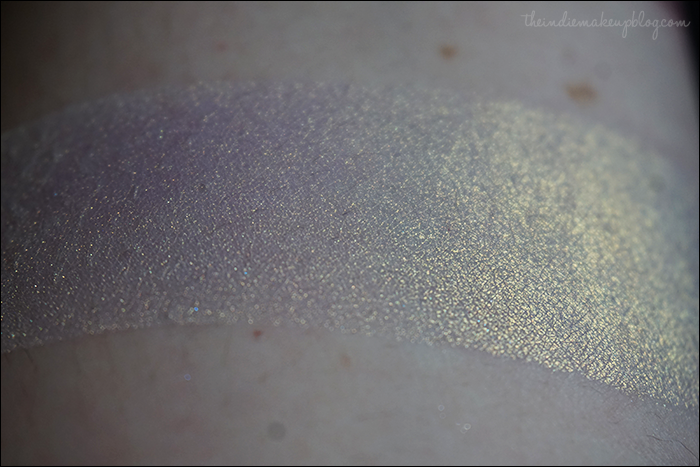 We see purples with gold duochromes pretty frequently in indie makeup but the cool lavender base sets this one apart. Dr. Eek is a midtone pink with blue sparkles. 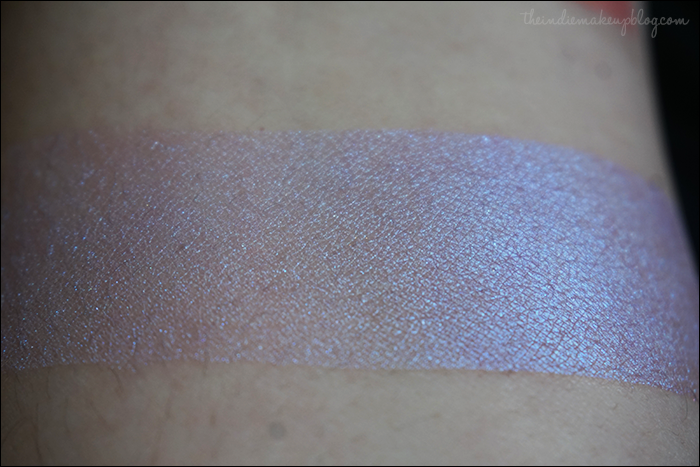 Over a sticky base, this one basically turns into a duochrome. I'm not quite sure how best to wear this one but it is stunning to look at. The standouts for me in this section were Faerie Fire and Bat Wing Hall. I've already used these two quite a bit and I'm very happy with the quality and color payoff. 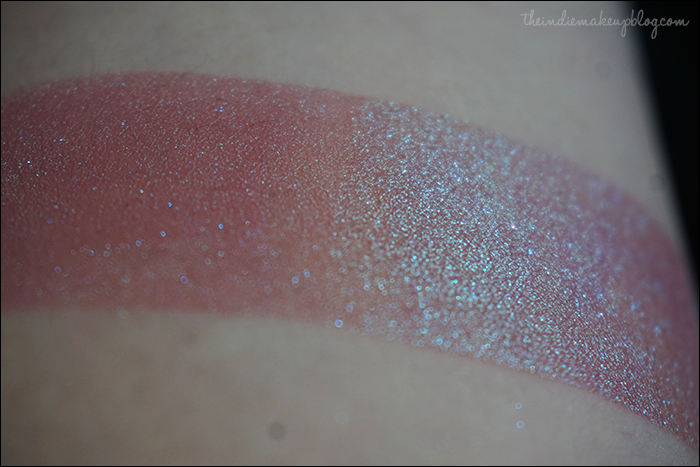 Secret Shiny and Dr. Eek are great examples of the interesting duochrome combinations Femme Fatale is known for. 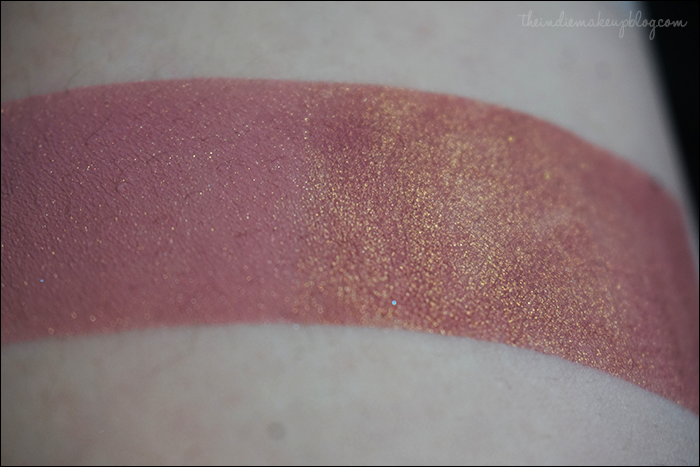 Next up for the Femme Fatale series, I'll be swatching the entire Gemtone collection!